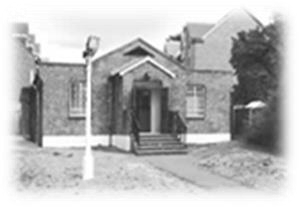 East Dulwich Tabernacle is an independent, reformed evangelical Baptist Church. The principal object of the Church is the advancement of the Christian faith, the glory of God, the nurture of God's professing people and the benefit of the public. We take privacy seriously and seek to be responsible and secure in the processing of personal data belonging to others, and adhere to the European General Data Protection Regulation (GDPR) of 25 May 2018, and also the UK Data Protection Act of 2018. Our work requires us to process (hold) personal data, relating to children and young people in our Sunday School and Friday meeting, as well as adults who attend our services. We do not share this type of information with anyone else; it is kept solely for the use of the Church, in order to operate the Sunday School, and to build relationships with those who attend services. We have sought consent from the parents of children who attend our Sunday School, to let them know that we keep information about them, and why. They can tell us at any time that they do not want us to keep their information. We do not keep personal information longer than is necessary and have established retention periods for the data we keep, so that it is securely destroyed when it is no longer needed.